Entries for the Hoard will be accepted until the last day of May, 2018. All the stuff that makes a Dungeon Crawl interesting. I like these general categories because there is so much stuff that fits the category. The original idea on this came from a request for 2D dungeon props, and I have a few ideas on those lines, but I had another idea that is either going to be super cool or a total flop. We'll see. Show us what you can come up with. I did some stuff based on BilliamBabble Inked Adventures years ago. I could spruce them up and share. Does anyone know how to contact Billiam for permission? I don't see a button on his website. I hope folks find this useful. I had a temple entrance I was working on, but I've gotten sidetracked. I was going to base it off an image of gold doors that were set in rough stone. I thought that was pretty cool and should be underground. 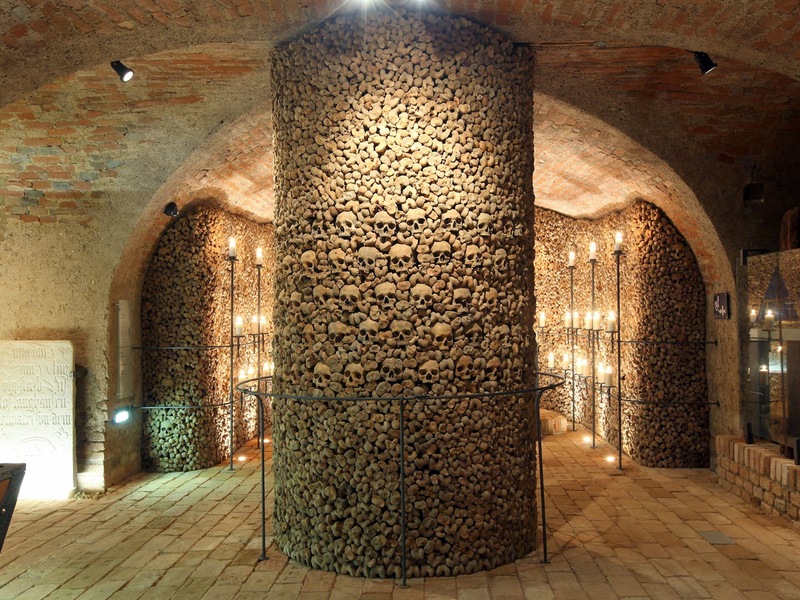 Now I'm leaning more towards ossuary. 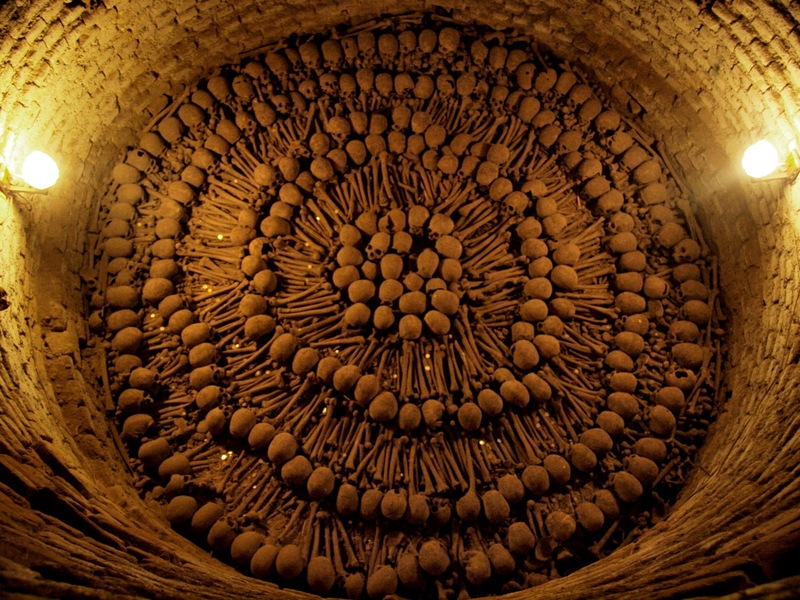 What I find amazing is that this 'art' can be found in South America, Europe, and the Mediterranean. I didn't find it, but I vaguely remember something like this in Southeast Asia or India. Catholic church, Orthodox church, and other religions, too. Oooh, I knew about this stuff but somehow never thought about putting it in a dungeon?!?!?! Anyway, now I picture a strip of texture that could be rolled into a pillar or just left as a wall. 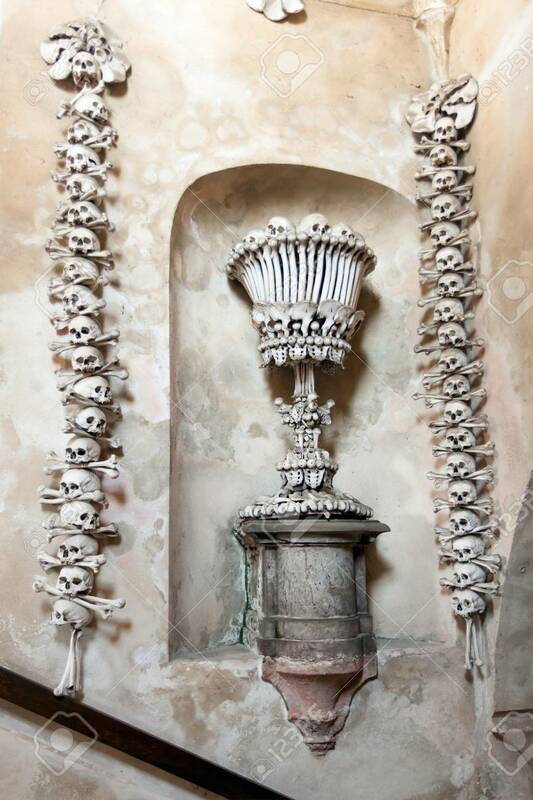 I think I have even seen chandeliers of old monk bones. This is definitely out of my normal realm. I do models. I've been playing with getting the textures to not look like they don't have a halogen bulb shining on them. I'd like to do a wall, but what should be the height and length to be appropriate? And should it be a thin box? How thick? The display with the skeletal monks I'd planned on just making the monks 28mm tall and be a fold-flat. I'd also planned on doing a column, even before cowboyleland suggested it. But how tall should it be? Just not sure how much I can get done with the holiday and all. Skull column idea, should be 1" square by 2" tall at 300dpi. Saw blade poking through floor, or wall, or ceiling, or door, or part of a field of blade traps. Is it better to leave holes for the wall to show through, or should I texture them. Maybe texture and leave it up to the user to cut out if he prefers. It seems that my use of the perspective tool wasn't 100%. It still seems to lean a bit. Got the glare spots under control on the Bone Circle, but should I put a stone curb around it or leave it with just a border? 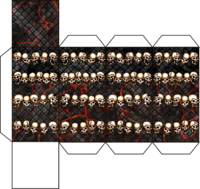 Off the top of my head, there are floor tiles that include similar elements available from Inked Adventures in the Crypts, Tombs & Catacombs set and SkeletonKey Games' Dungeons of the Dead set. Both manufacturers also do additional items that fit with these sets, though not in stand-up wall format, so far as I recall (I think there's a stand-up Inked Adventures doorway that has bone elements, but of course can't now find it in a quick check...). Eddnic (who else?!) 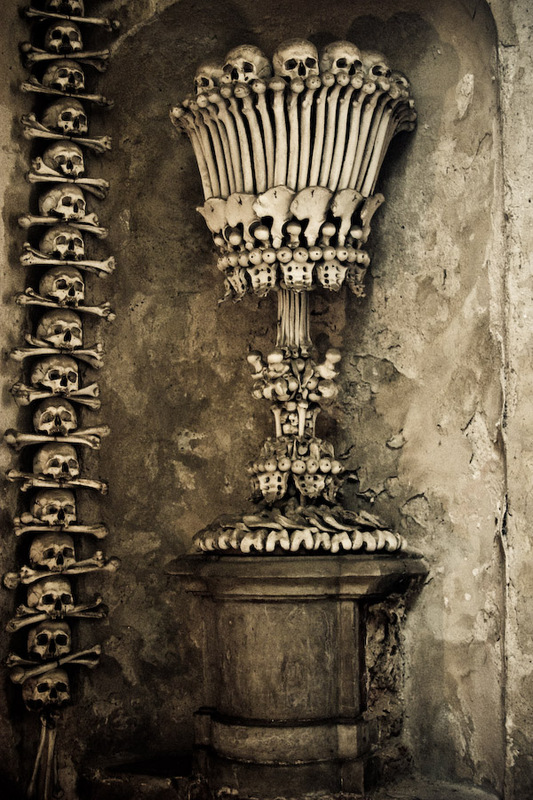 has a nice 3D skull column and a skull and blood fountain among his 3D dungeon props in this blog post. 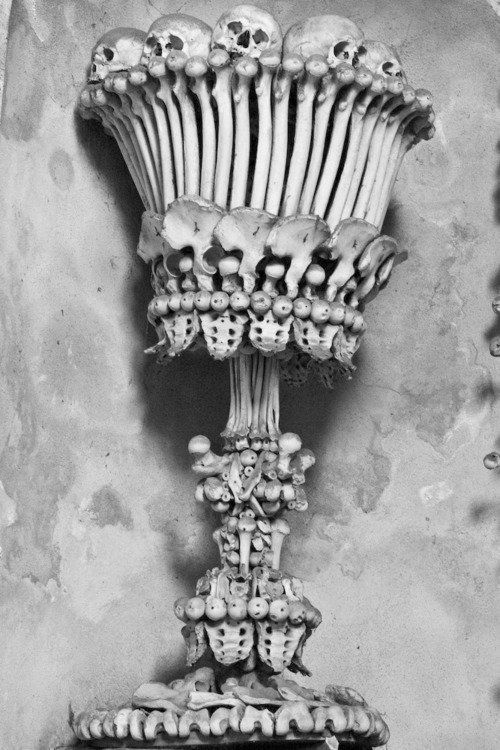 There are skeletal aspects about several other pieces in this collection as well. I suspect there will be more I've completely forgotten in the heat of the moment too! Back to the walls. Should I just do a wall texture to be used in whichever wall system each individual prefers? Normally, when I work with walls, it is for a specific project. Not something modular. I could have it set up as six inches long and two inches tall, if I read that correctly. 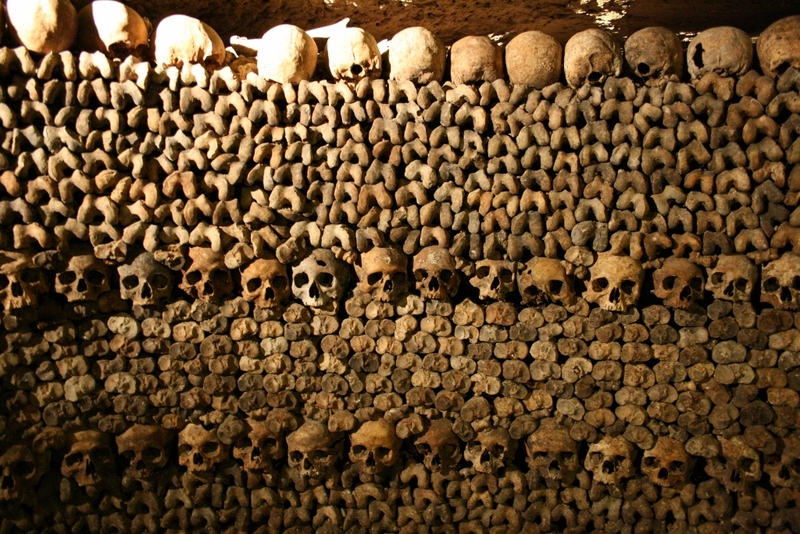 I plan to use one of the wall textures to mimic the round column from the Paris catacombs, one inch in diameter. Maybe I need to look at it with fresh eyes, but when I was trying to sample textures from the photo and build a 'wall' to wrap around the end caps, I couldn't get things to look right, even after attempting to color match the different sections. Maybe this is a good time to explain my approach to working with real images. I first knock out any flash glare, then break up the sections where the light just doesn't look uniform enough. After that I work on color--brightness, contrast and saturation. I use Curves to tweak that image. Eddnic's furniture looks great in the photos, but when I went to download it, I found it's available through 4shared.com. I can't tell what to click to get the file; the "Download" button takes you to another page that just screams MALWARE! Does anyone have any idea how to download Eddnic's stuff safely? The last thing I want to do is install some off-brand toolbar on my browser, or some other, less detectable malware. That's where some of my images came from. 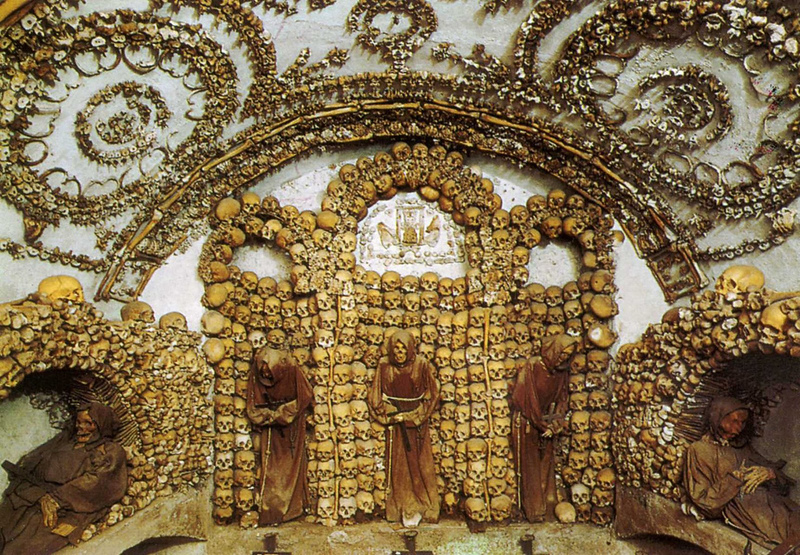 That skeletal monk display is from Kutna Hora. 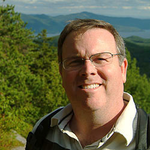 When I first discovered the CWF, quite a number of people used 4shared to store their free files, so I quickly learnt how to navigate it safely. It helped that my security software (Avast) had a VERY robust policy about anything even vaguely suspicious. Luckily though, back in late 2015, Eddnic re-uploaded his earlier files to Google Drive in a more condensed format (mostly as zipped files). You can find the various link addresses (you need to copy & paste them into your browser, as they're not hyperlinks, however) on this blog posting. Scroll down to the end of the post, and you'll find them stored under the "Furnitures" label. I think the problem here is the two features are on the side walls flanking an arched doorway, and there just isn't enough space to get back far enough for the kind of shot you'd prefer. There are a few more not dissimilar views further down the Google images page using this search text, if you were maybe thinking of trying something more 2.5D or even 3D. Thanks SO much! I'd never have found this on my own! You have a ton more papermodeling experience than me, VK, but in the 2D mini scenery I've done, I've generally found that a slightly worm's-eye perspective usually works well on objects. I wouldn't worry about the top of the cup being above the eye-line in the picture--I think that will just help the final mini have some visual depth. Whether it would be better if the bottom plane were slightly tilted--so that the bottom edge of the "cup" were visibly rounded instead of flat--is debatable, but I wouldn't let the fact that it's not stop you from doing this mini. I'm pretty sure if you just convert this into a 2D standee as is, it will look great. 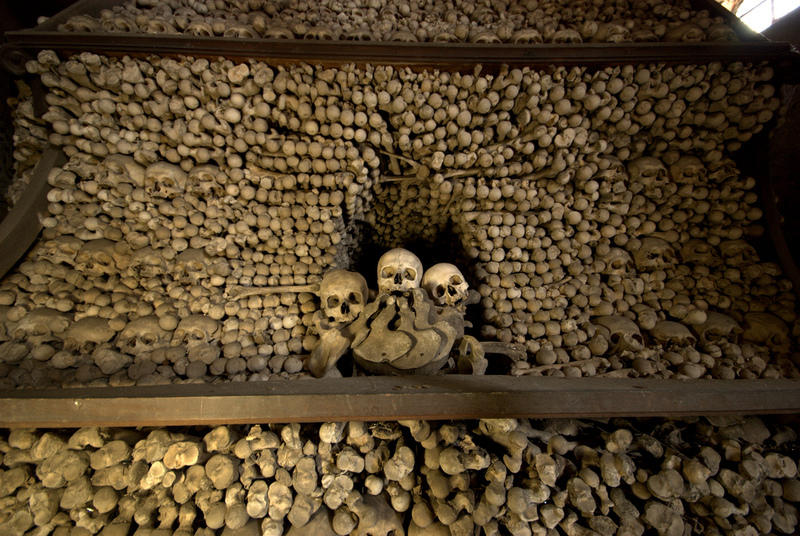 EDIT-- oh, yeah, to take my wall pattern and make it two inches tall makes the skulls too small, unless we make it seem more grisly and accept that their from kids. I considered three-inch high, but I think I can tweak things so they look acceptable ( I don't think 'right' or 'correct' really seem to be the proper terms here) at 2 1/2 inch tall. And since I will be doing the promo photo, I think that is what I'm going with. BTW -- I knew there were a lot of dungeon tiles out there, but didn't realize there were THAT many. I think one of Nemo Works tiles will look good with these walls, but does anyone have a preference for a second room? So, here's my entry for this month. Simple work, easy to use... Have fun with it! Wow, I think something bad happened to that ship. Phasers, disruptors, asteroids, other spatial phenomena, free floating Tribbles... space is a nastily hazardous place!